Because of the high risk of accidents and serious injuries, the tendency to remain on guard while riding a motorcycle is a huge step toward avoiding motorcycle accidents and injuries. Unfortunately, despite anticipating obstacles and potential accidents, numerous motorcyclists are hurt or killed in motorcycle accidents each year. Most motorcyclists do not think about the dangers of the road when they hop on their bikes for a relaxing evening ride or a daytime zip across the city. Sadly, though, the chances of making it back home without injuries is definitely something to think about as you gear up to ride a motorcycle. 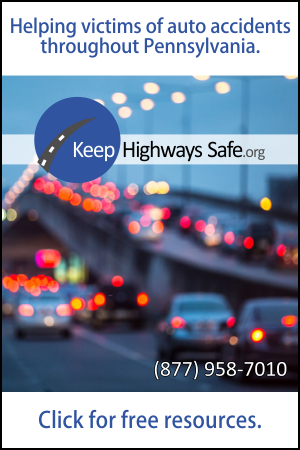 Our goal is to educate drivers and legislators about how we can make our roads safer. That’s why we created this Pennsylvania Crash Report. In 2014, the following occupations were listed as the most dangerous in the U.S. While some are easy to guess, others may come as a surprise. 808 of the 1,718 deaths that occur per year can be completely prevented in a few simple actions. 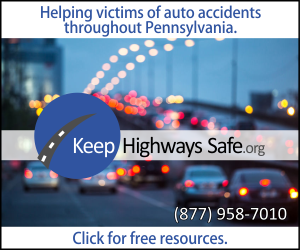 With just four small safety precautions, every Pennsylvanian has the power to save two lives a day in a matter of seconds. What are these four safety precautions? That was, until Chronic Traumatic Encephalopathy (CTE) was introduced as a relatively new diagnosis – the result of repetitive or undiagnosed concussions. Both are progressive diseases of the brain, degenerative, and have similar symptoms, but CTE cannot be diagnosed until after an individual dies. According toRecode.net, the Pokemon Go app had approximately 9.5 million active daily users, and as addictive as it seems to be, imagine how many people are caught up in the app while driving. In fact, the amount of fatal accidents involving teen drivers has skyrocketed 10% in just the past year, the first time in a decade that teen driver collision rate has increased in over a decade.